BTS is making K-pop history. Several years after Psy’s “Gangnam Style” caught on with American listeners, BTS’ songs have been breaking Billboard records and drawing the attention of the US press. The boy band is spearheading the Hallyu wave, and their reach has become increasingly global, as evident in their recent speech at the UN. Moreover, BTS has made it into the mainstream, a space previously untapped by other K-pop stars. 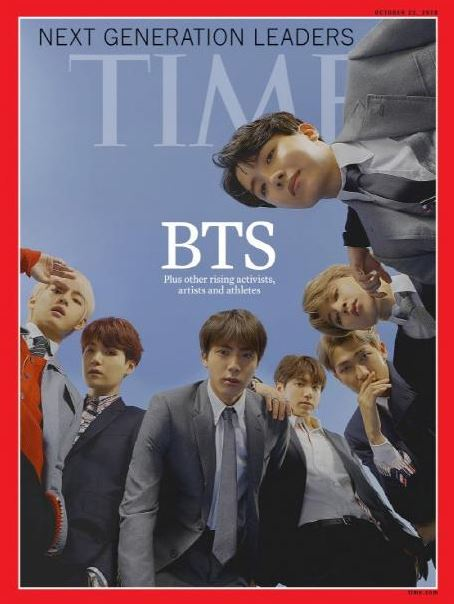 In its October issue, Time magazine dubbed BTS as “next generation leaders,” and its online article on the band was headlined “how BTS is taking over the world,” The cover photo shows the seven members, dressed in suits, peering over the camera, and the headline “Next Generation Leaders” hangs above their group name. BTS is the first K-pop star to grace the cover of Time. The magazine’s Asia issue sold out in presales, proving the band’s popularity, and marking a turning point in Hallyu history. On November 11, online book vendor Yes 24 said that all 13,000 copies of the first import of the issue were sold out, and that they were selling their second batch of imported copies. Various Asian countries are reportedly requesting imports of the issue. Even Amazon is reportedly receiving queries about when it will begin orders for the issue. Member Suga said, “Our parents’ generation, who were born after the Korean War, grew up not being able to eat or wear whatever they wanted. Their generation, and our grandparents’ generation, are extremely proud to see us publicizing Korean culture to the world. 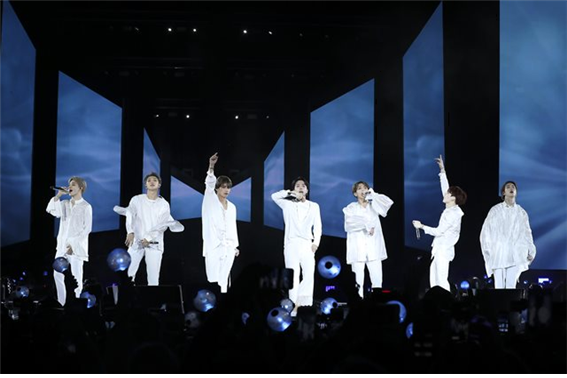 I am very happy to see my father so proud.” BTS especially grabbed the attention of local press after becoming the first K-pop stars to perform at Citi Field. In the article, the members said they dream of performing at the Super Bowl one day, though it may be a long shot. The list of “Next Generation Leaders” includes soccer star Kylian Mbappé, comedian Hasan Minhaj, actress Amandla Stenberg, and cellist Sheku Kanneh-Mason. It attests to the global popularity of K-pop culture that BTS was chosen amongst these stars, many of whom hail from the US or the West. 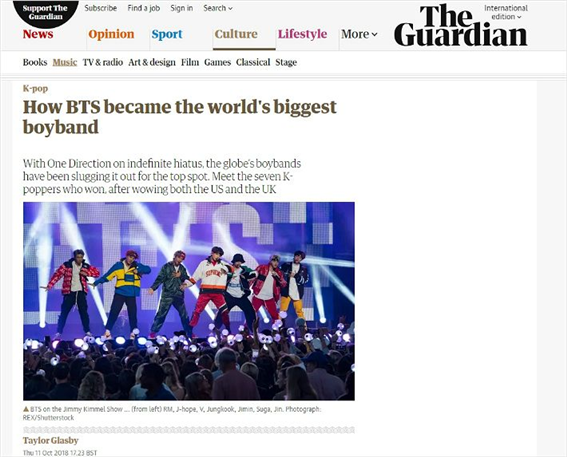 After Time decided to feature the band on its October cover issue, The Guardian immediately released an article on “How BTS became the world’s biggest boy band.” The article also referenced the band’s Citi Field performance, two-time Billboard No.1 albums, and UN General Assembly speech, saying that the band was the first K-pop group to find major success in the Western music market. The article said critics point to social media for the band’s global success, while fans point to the band’s lyrics and music. It also talked about its multi-genre music, which deals with issues not traditionally covered in mainstream K-pop, such as anxiety and social issues.